I’ve been reflecting on the art – or perhaps business – of blogging lately. I love blogging, mostly because it has taken the place of my journaling for the most part, so it’s my way of getting my thoughts “on paper.” (I suppose I must say “onscreen” now.) I also like the fact that it is a public thing that sometimes creates interactions between me and other humans out there. I think for a while I thought that somehow my blog was going to help me be a real writer. Like one day some literary agent or editor would read my blog and think, Wow! This Karissa girl is a great writer. I am going to give her a book deal! Perhaps this occasionally happens in real life, but that’s not the usual way books get published. Nevertheless, for a while I was highly concerned about number of unique readers per day, and per month, and which posts were most popular and why, and how many times I could promote myself on Twitter and Facebook in a day. I worried about not having a clear platform, about my content and whether I needed to write more quirky mom posts or more serious spiritual posts or more political post about immigration and education. My friend Michael Hyatt writes about the importance of having a platform if you’re a blogger. He also writes about blog post structures and what metrics to analyze if you want to grow your blog. I think he’s right on all three counts, but I can’t follow his advice. I write about what I write about, and I can’t (or maybe don’t want to) narrow myself to one platform or topic. My blog posts are almost always too long. I know. (And I appreciate those of you who have the patience to read to the end.) I have stopped worrying too much about the metrics. Yes, I would love to have more comments and conversations, but I’ve already hampered that with my long posts and amalgam of content. I have two blogging idols, Marissa at RaeGun Ramblings and Nina Badzin. Marissa is actually a personal friend who makes and sells adorable baby/toddler clothes on Etsy and blogs about sewing, crafting, and books. Her blog is crazy successful, with weekly Link parties, sponsored posts, and oodles of comments. She even has a Media Kit for her blog! I am jealous. And so proud of her. (I personally love her bookish posts the best.) I can learn from her to-the-point posts and fun content. But I can’t be her. Because I am me, and my blog is a reflection of me. For the past six months, I’ve worked diligently on my manuscripts. (If you’ve noticed less blog posts, that’s why.) For the past three months, I’ve gotten up early in the morning to write before getting ready for work. I’ve also been writing shorter pieces to submit to journals. I certainly still have a long way to go, but knowing that I only have about 10,000 words left to complete my first manuscript (the first draft) and that I’ve had five essays published this fall is pretty awesome. I am also about to start a writer’s group with 3-4 writer friends so that I can get some constructive feedback. I don’t know that I ever will master the art – or business – of blogging. And that’s okay. I blog, I write, I live my life. I am so thankful for those of you who read what I write here and hope that in some way it lets you know that there’s someone else in the world who hurts and questions and laughs just like you do. Good thoughts, Karissa. And congrats on having five essays published this past fall and on your persistence working on a book-length manuscript while working and raising kids. You’re obviously serious about writing and also have a knack for it. In the summer of 2007, best-selling fiction author, Joshilyn Jackson, encouraged me to start a blog, and to post three times a week about a variety of subjects, not just writing. She said that blogging is a great “warmup” for your “real writing,” but you have to be careful that it doesn’t zap your creative energy on those days and keep you from you real writing. I’ve experienced both of those – the warmup and the creativity zapping. But I think I’ve built a bit of a platform over these 5 1/2 years, and I do view blogging as a “business” and part of my “job,” in that regard. But mostly I love the interaction it allows. Writing is a lonely business, especially for those of us without a day job and children at home. So I hope to keep it up. I try to keep my posts under 1500 words (although I don’t always succeed), and a few months ago I started a schedule theme for posts on Monday, Wednesday and Friday, which I mostly stick to. Just tips. Keep up what you’re doing if it feeds the muse. Oh, and I actually think blogging IS “real writing.” Or it can be . . . .
Susan, I really like how you have a theme for the three days you blog. And I appreciate you saying that blogging IS real writing! “An internet sensation” . . . !!! That description is SO overly generous, but it totally made my day. 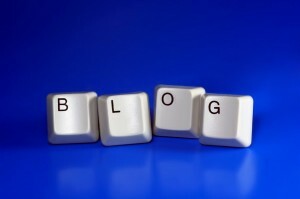 One thing I for sure have NOT mastered is the business of blogging. I know nothing whatsoever about the metrics and the other “shoulds” of making the blog a business. I think my topics are too random and “non-niche” for that. But . . . I will take a look at those links you added. Whenever I spend a few minutes thinking about having ads on the blog though, I start to get a headache. I might have moved away from fiction for now, but I have not moved away from the WRITING being my first and main motivation. I think essays fit me better, for now, than fiction. I wouldn’t mind making some money, but the idea of finding advertisers and billing them, etc, is more than I can handle. Anyway, I’ve seen your blog grow since we first met. And your main goal of finding an outlet to express yourself does not need to change. If you’re still finding time to work on your manuscripts then you are doing it right, my friend. Nina, I think it’s so exciting how much you have published in just the year or two that I’ve followed your blog. You have a knack for writing great content. And I hope you don’t take any of my comments the wrong way – as Susan said in the comment above, blogging IS real writing! Your essays are wonderful, and I really liked that post of yours that I linked to about temporarily letting go of writing a novel. It was very thought-provoking and I think the idea of what a “real writer” is is changing. It’s not necessarily just someone who publishes in journals anymore. (You’ll have to forgive me for that idea; I am a product of an MFA program, and can get snotty at times.) And yes, I can tell that writing is your main passion!! Well, I’m impressed by *all* of you! I have never considered myself a writer…and I don’t think I am…but I do enjoy blogging. I’ve seen the advice on increasing blog hits, increasing followers, blogging for money, etc., but I can’t get away from the original idea that my blog was supposed to be fun. I write about such a wide variety of things. I think if I tried to confine myself to a narrow platform I’d stop having fun and then wonder why I was bothering. On occasion a story will pop into my head and I’ll write it out, do several revisions and then pop it on the blog. One I did in 2011 I had to do in installments but everything else has been much shorter. While many people have urged me to seek publication for them I hesitate because I have no real experience. In a way I would like to see the longer one in print just because I would like my daughters to have a nice copy. Many other people have wished they had copies for their daughters or goddaughters too. It just doesn’t seem feasible. In any event, while a lot of blogging I do could hardly be called “real writing” I think at least some of it is finger exercises. I have fun with it and to me that’s the point (at least for an amateur). I agree that it’s hard to confine oneself to one “platform.” I like your blog, and I think it feels very organic, a natural outpouring of your life. I do read it, though I don’t comment often. I enjoy your posts very much. I can give you some names of journals to send your stories to if you would like. Did you know there’s an Orthodox literary journal called St. Katherine Review?